Forget upper cabinets! 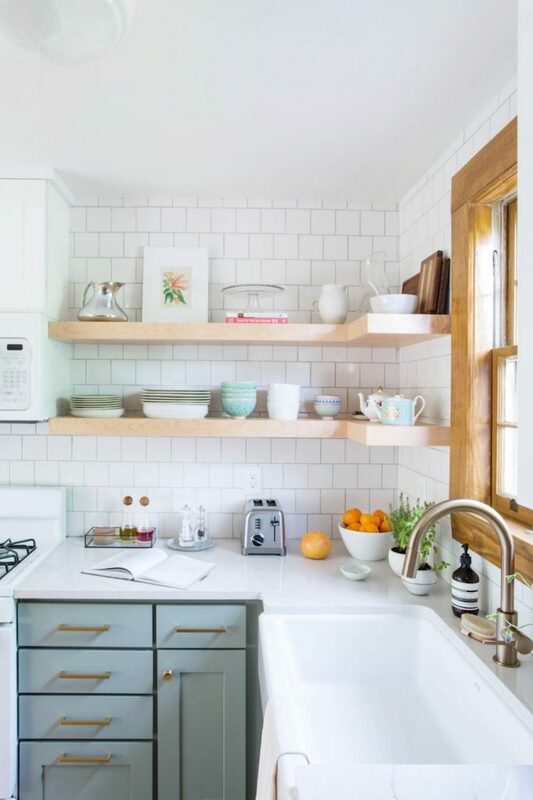 Yes, after you see these lovely kitchens with open shelving, you’ll wonder why you ever thought you needed upper cabinets in the kitchen. 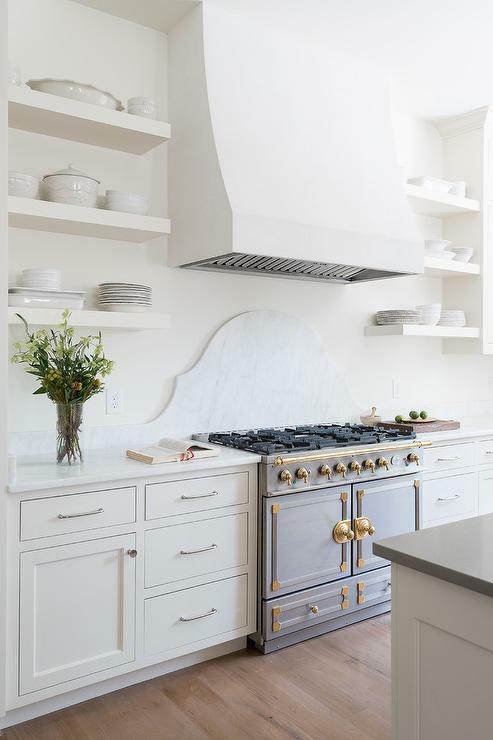 Kitchens with open shelving tend to open up a kitchen and make it feel ten times larger than it actually is. That’s why they work wonderfully in smaller kitchen spaces. If you’re worried about the shelves looking cluttered, then choose neutral/white colored objects to place there, and make sure they’re neatly arranged. 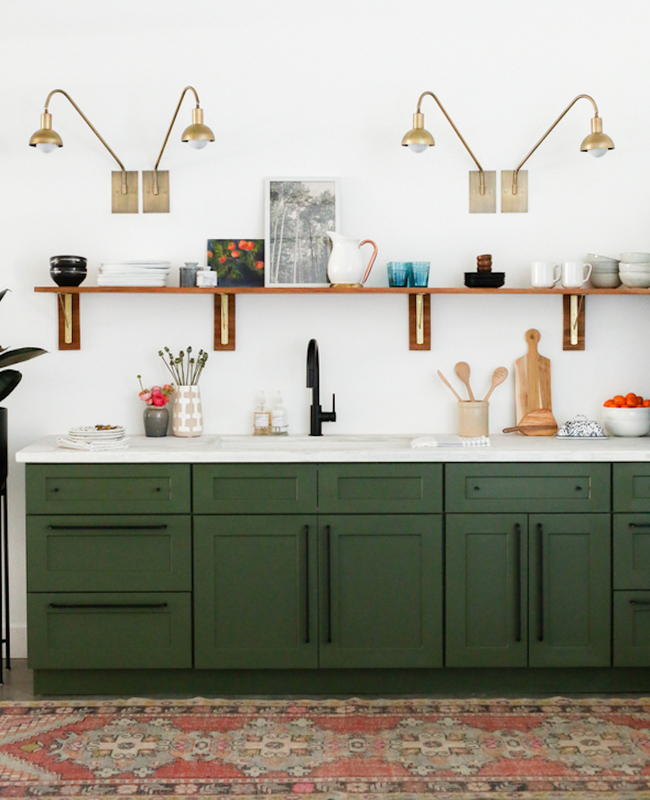 Check out some lovely kitchens that have mastered the open shelving look! 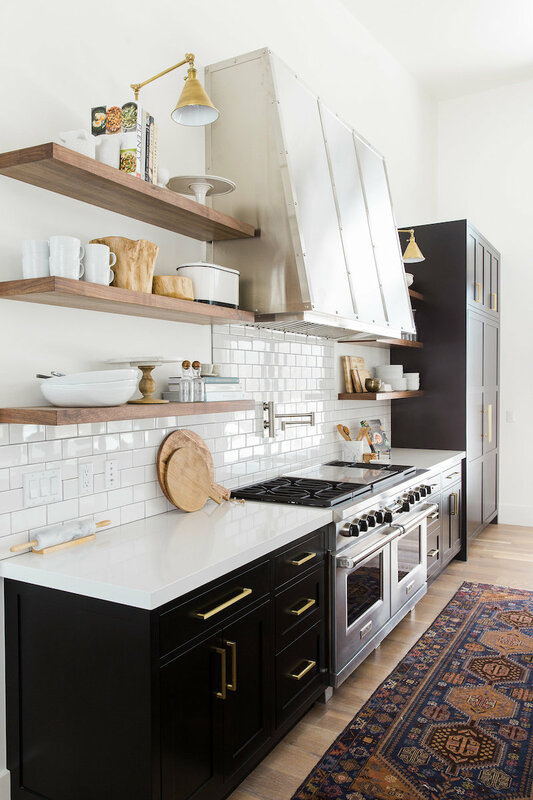 I love the contrast of dark wood shelving against soft white marble tile backsplash in this kitchen. 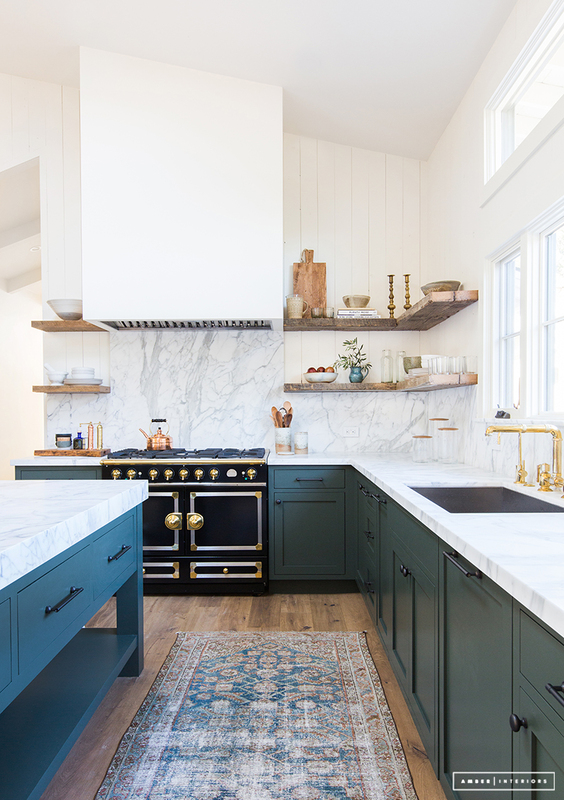 The dark blue cabinets give the room a pop. Black cabinets are a great way to add a dramatic look to a kitchen. 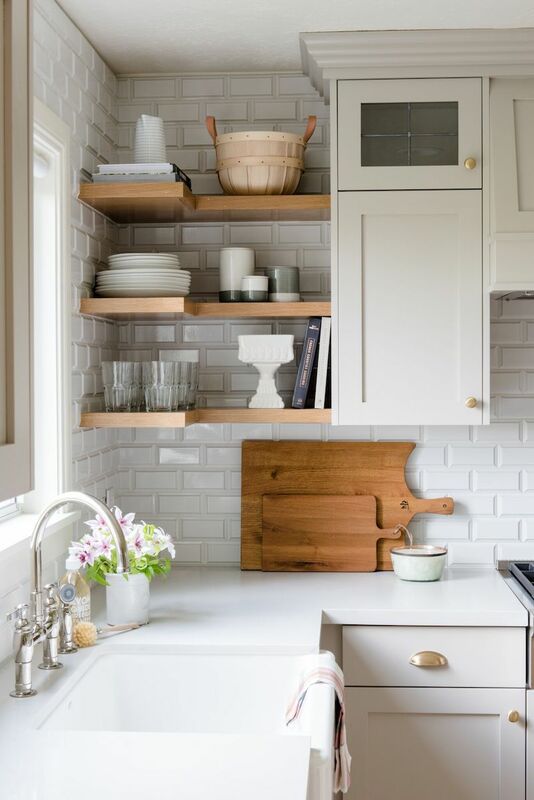 They work great in kitchens with open shelving instead of upper cabinets. I think black upper cabinets would be too intense, but this one works wonderfully. 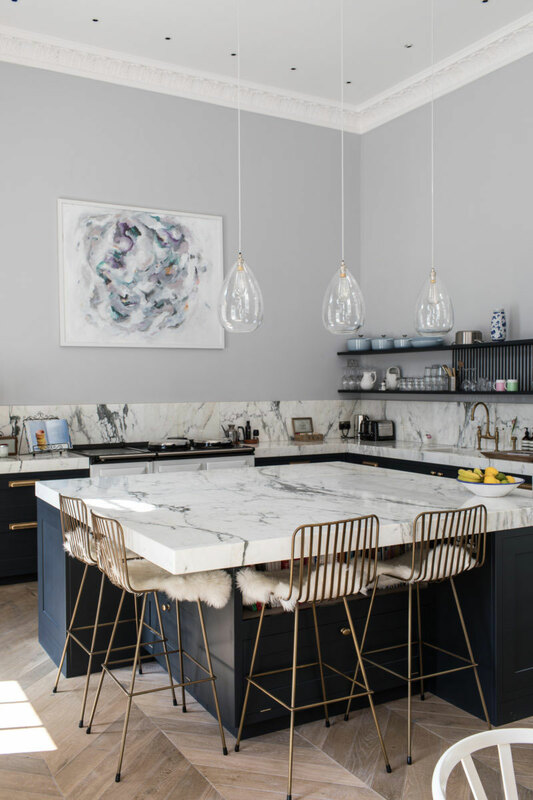 A giant kitchen island like this is my dream! Look at how the open shelving helps keep the space functional while remaining open and spacious. You can add some art to the shelves to keep the space fun and eclectic. A combination of open shelving and upper cabinets can work too. 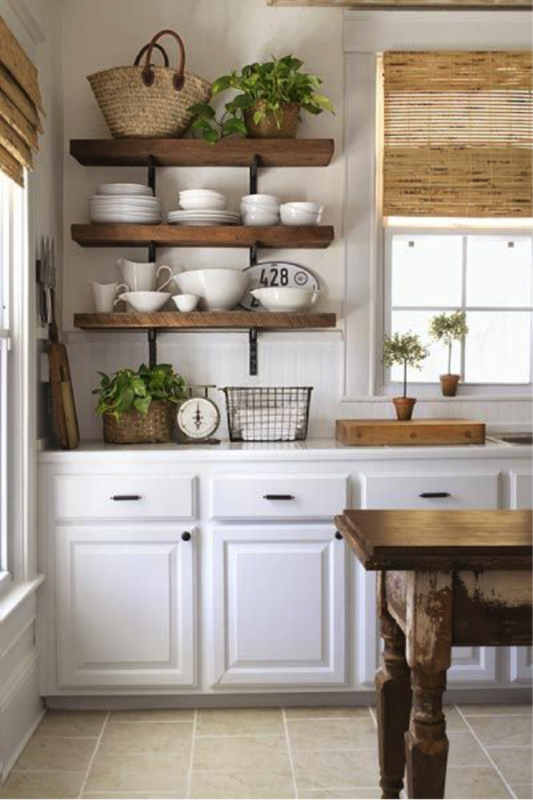 Open shelving works great in farmhouse kitchens too! 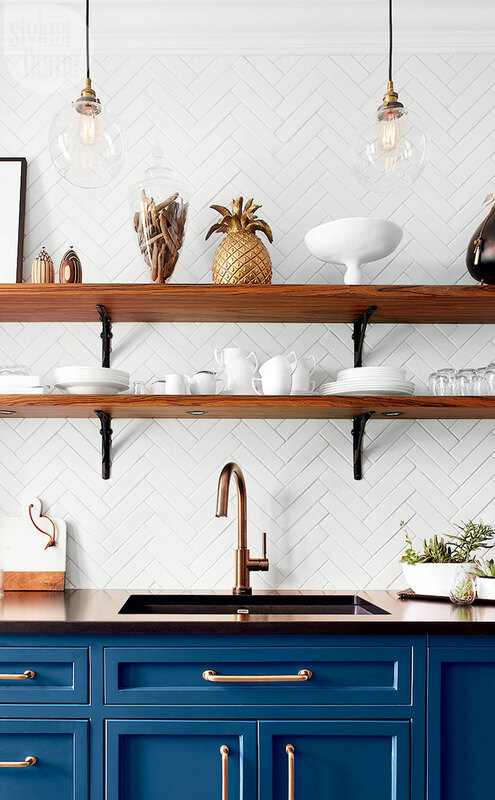 Would you add open shelving to your kitchen? 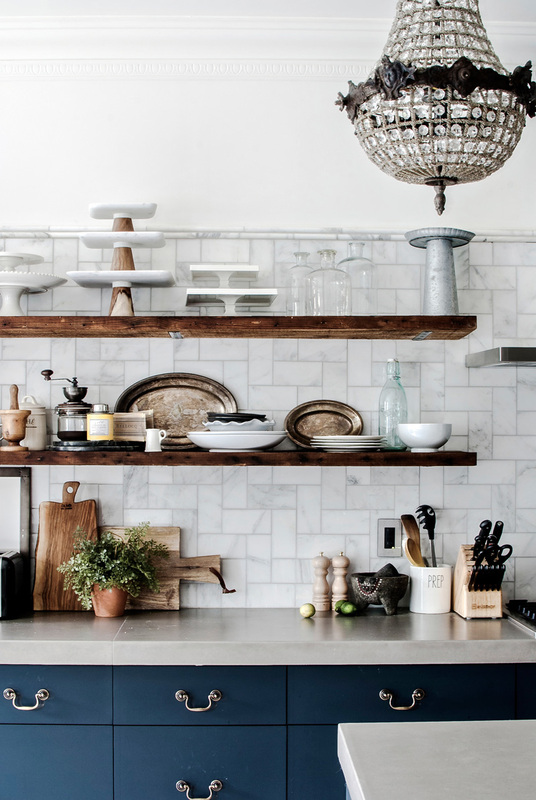 I would definitely put open shelving in my kitchen. Especially with a white tile wainscot. So nice! Open shelving is really an amazing idea. Thanks for sharing this post.